Here at Kynaston’s Autobodies we put quality customer service with minimum fuss at the centre of our work. We are a Honda and Kia approved bodyshop and also have a specialist aluminium repair centre that is unique to the South West. We have vast experience working on all makes of vehicles and vans including Audi, VW, Seat, Skoda and Mercedes. We have a specialist aluminium bodywork repair centre that is unique to the South West and specialises in Jaguar and Nissan repairs, and a separate site focused on commercial vehicles, with a promise of speed and efficiency to get you back on the road as soon as possible. 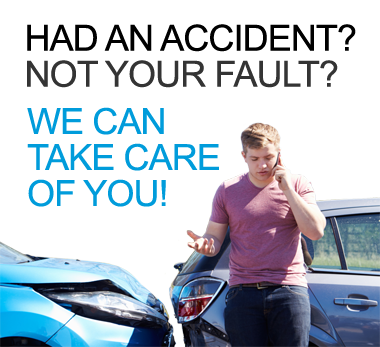 If you have had an accident that’s not your fault then we can take care of you and your car at every point of your vehicle’s repair. Our aim is to provide a first class service with minimum fuss in alignment with the Kynaston’s Group Quality Standard. Simply enter your vehicle registration and your tracking code to check the status of your repair. Kynaston Autobodies has evolved into the largest independent bodyshop in the Southwest operating across three sites on Marsh Barton in Exeter, including Car Body repairs, Commercial repairs and MOT & Service. 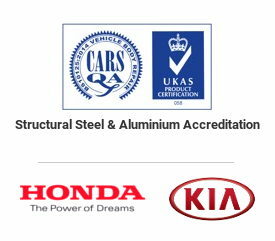 We are Honda and Kia approved, have CARSQA accreditation including structural steel and aluminium, have experience in working on all makes and models of vehicles including Audi, Seat, VW, Skoda and Mercedes and also repair aluminium models, which is unique to the SouthWest.